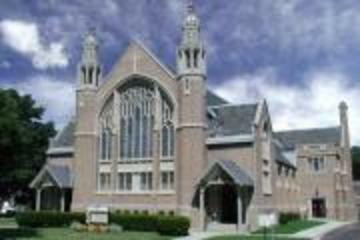 Welcome to Fredonia First United Methodist (FFUMC) Church website. I'm Pastor Nettie. I've been a part of Fredonia First for a little more than a year now. Initially as the Pastor for Family Ministries and currently serving as full time Pastor. It's hard finding a church, isn't it? I've been in your shoes before...searching. Searching for answers, searching for direction and searching for a place to find God and community. I would sift through websites (as you are now) and I would go "church hopping" trying to find a place to call home. A place where I could be myself, my imperfect self. Wanting to share this journey of faith with others who like me, are searching for a place. A family friendly place where the focus is on the real relationship with God and not just being religious. It's hard to find "just the right place." In my church hopping, I learned that no church is going to meet every qualification and no church is going to be the perfect church. People will make mistakes and sometimes even disappoint us. How a church family handles those times makes the difference. Scripture is filled with the experiences of people who've made the same journey we're on. I wanted so to find a community of people to take this journey with. Something more than just me. Sitting in a park worshiping God all by myself. I asked God to lead me to my church family and that He did! Scripture tell us that God knows us. He made each one of us intentionally and for a specific purpose. Scripture also tells us that "God places the members in the body as He sees fit", and that He brings people (and their unique gifts) together for the common good. It is a great thing being together! Life is easier in community. We are a church family who truly seeks God, We adhere to the beliefs as stated in the Apostles Creed. We strive to follow the teachings of Jesus in our everyday life and work always to grow in love for God and for others. We want to love as He does. We are a church family who focuses on creating a worship space and experience that is open to all. Family, friendly and comfortable. We offer a relaxed traditional service with a contemporary message. We are steadfast and at the same time ever changing. Keeping our eyes fixed on Jesus and His vision for our church family. Working together to find ways to meet the needs of our church family and the needs of our community...and always as individuals and as a church family, to "love God with our whole hearts and our neighbors as ourselves." We invite you to join us some Sunday morning for worship! Call if you have any questions. We are located at 25 Church Street, on Barker Commons, (the square in the center of the village) directly across from the gazebo. We welcome you to our website, and hope to welcome you in our church home very soon. To see more of what United Methodists believe and how the United Methodist Church is at work in the world, click the link below. Download the FFUMC Youth Registration Form here.